It’s easy to look back at the end of the year and think about the predictions that should have been made in the world of sport. 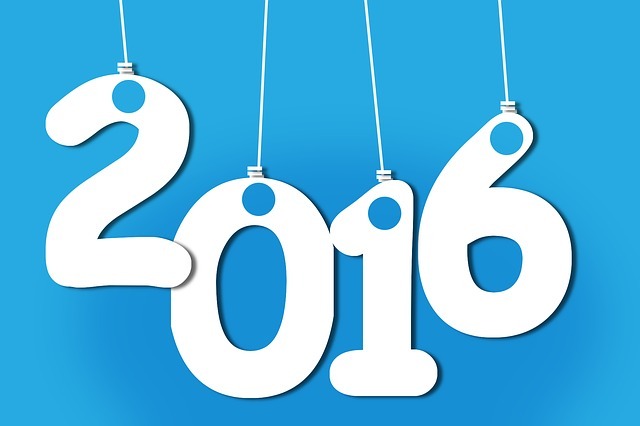 Here are five headlines you will see in 2016. Foxes secure Champions League berth – Leicester City’s hot start to the season has shocked the most seasoned of football experts. What they have shown is that chemistry, not money is crucial to success. Jamie Vardy has demonstrated why he might be the most important player in the league and his calmness under pressure will be crucial in the second half of the season. Leicester have never finished higher than eighth in the Premier League so the scene is set for them to rewrite history. Warriors create history – Will they, won’t they? Will they, won’t they? They will. The 95-96 Bulls record will be no longer at the end of the season. The Warriors are 29-2 at the time of writing and the Bulls were 25-3 on the same date in 1996. When every player who is currently active in the NBA has retired Steph Curry is going to be the best of the lot and it is this dominance that is going to help lead the Warriors to single digit losses. CUBS ARE WORLD CHAMPIONS – The last time the Cubs won the World Series the toaster hadn’t been invented, the Titanic was years from sinking and the Fitzroy Football Club were the powerhouse of the VFL. A lot has changed in 108 years (although I wouldn’t object to a return of the Roy Boys) but Cubs fans still wait. A better than expected 2015 saw the Cubs reach the NLCS before being swept by the Mets. The addition of John Lackey and Jason Heyward to a club who are a year more experienced makes them favourites for the N.L Central. The Royals showed in 2014 that playoff experience will help the second time around and for Cubs fans this means one thing – sweet sweet relief. Awesome foursome – Saturday the first of October 2016 marks the day that the Hawthorn Football Club will become the greatest VFL/AFL team I’ve seen in my life. At the moment that is a mantle that belongs to Brisbane but a fourth straight flag to the men in Brown and Gold signifies a changing of the guard. Nobody has exploited Hawthorn and there isn’t an area of the game where they are noticeably lagging behind their opponents. They know when they need to win and they know how to force themselves into a winning position. No wonder they’re a happy team at Hawthorn. Boomers win first Olympic medal – It’s the same old story every four years for Australian basketball. The Boomers should win an Olympic medal, they lose a game they shouldn’t and fall into the wrong side of the draw. 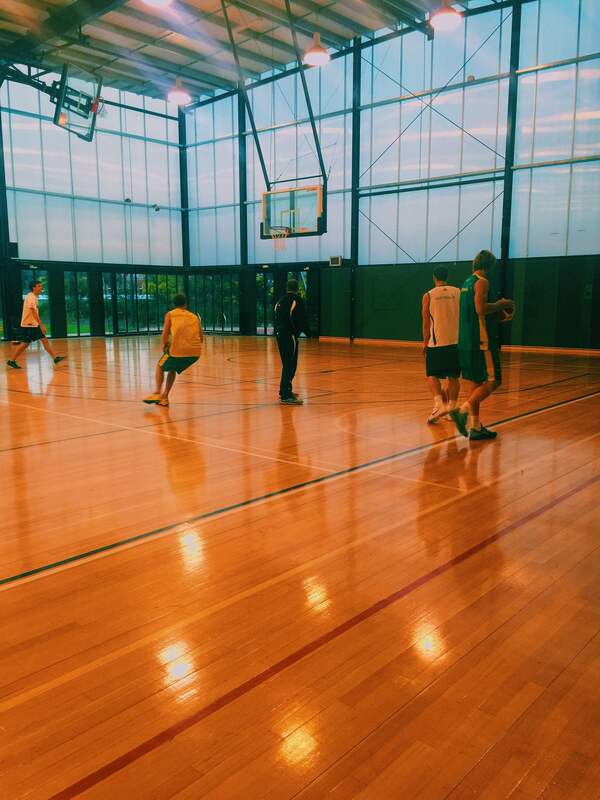 Three 4th place finishes (1988, 1996, 2000) later and it feels like the Boomers are ready. NBA champions, high draft picks and dominant domestic players will make up what is likely to be the most experienced team Australia have ever seen. The spotlight has shone on this playing group for the last decade in varying forms and they are going to use it to their advantage. A team that is likely to feature two number one draft picks is going to be in the conversation as the games enter their final weekend. More importantly one of the most frustrating streaks in Australian sport is about to be broken. As soon as Sam Allardyce was sacked West Ham fans were told they needed to be careful what they wished for. Allardyce promoted stability – something which a mid table club should apparently aim for. Slaven Bilić had great experience in Europe but was yet to manage in England. West Ham fans were on the hunt for one thing in their new manager – someone who played the exact opposite style of football as to what was served up under Allardyce. Bilić has done the first thing that what asked of him. His side plays with flair, they aren’t scared to try new things and most importantly it’s exciting to watch. It’s the West Ham way, without which the club wouldn’t have the rich history they do. Three wins and two losses to this point is unsurprising. What is surprising is that two of the victories have come away at Arsenal and Liverpool. The common theme in those two victories was going out with everything to play for and the knowledge that the side was good enough to win. In the Allardyce regime the mentality would be to try to hold on for a 0-0 draw, a mentality that often ended in tears (see the back-to-back losses to Chelsea and Arsenal that sent the season spiraling last year). On Saturday we travel to Manchester City with the belief that we’ll be the first team to a) score against them and b) take points from them this season. One point? Three points? I don’t see why we can’t take three, they’ve had a midweek game and are coming off a loss. The two David’s have finally realised that results come when you open your wallet. The club will post a loss for the financial period but in doing so have purchased players who can bring the club into a new era. The move to the Olympic Stadium is huge in many ways. Have on-field success and the sky is the limit. Have a bad year and we’re constantly battling to get ahead upon entry into the new stadium. This is a statement year for the Hammers and every statement thus far has been positive. The departure of Kevin Nolan was met with glee by some fans, but it is fair to say that he was a victim of being a long-time staffer of Sam Allardyce. The negative football and defeatist attitude had been fed to him for far too long. I feel there was a role for him in the team, however his departure lead to the biggest victory of the year. 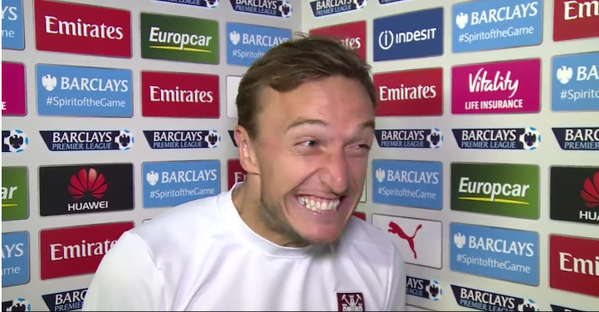 Mark Noble. Captain of West Ham United. I remember saying as early as 2010 that he had captain written all over him and could be the greatest player the club has had in my lifetime. He’s an East End boy, his blood truly is Claret and Blue, and more importantly he is everything that the club are trying to be. His goal and celebration against Liverpool, his rush to Payet after the opener against Newcastle and THAT face during his WHUTV interview after we’d beaten Arsenal are further proof he’d die for the shirt. Sure we could have offered Song or someone else the job (and I’m not for a second suggesting that Song doesn’t love the club), but nobody fits the role more than Noble. The season is still young and there is a lot of football left to be played. In saying that I don’t know anyone who hasn’t got what they wished for. Paul Roos made it clear on Monday night on AFL 360 that there was a negativity problem within the Melbourne Football Club. That’s obvious to anyone who has watch Melbourne for a second since 2007. Now Roos says the problem is coming from the fans. The love affair is over. When the Demons landed Roos I was potentially one of the ten most excited people in the country. We’ve got a premiership coach, a list that is slowly getting better and fans who are starved of success, our luck is about to change. I wasn’t expecting Roos to deliver us a flag but I was expecting a finals appearance. Coming into this year I thought that eight wins was a pass mark. When Petracca went down I lowered it to five. Technically Roos should get a pass mark, and he would have if not for the mortal sin he committed in placing the blame on the people who keep the club alive, the fans. I’ll be honest, I’m not a member. Not for lack of want, but there are other things that I need to take care of in my life. But that doesn’t mean I’m not entitled to an opinion, an opinion until a few days ago I didn’t have. I’ve loved the Dees for as long as I can remember and for the first time in a long time there are rays of hope. Sadly with the rays of hope remain the inept performances we’ve been made to stomach over the last eight years. When a team isn’t performing fans have the right to be negative. I’ve not seen a Melbourne membership in the microwave, so at least we aren’t Richmond, Carlton or Essendon in that regard (all of those clubs have memberships I have seen microwaved in 2015). I was high as a kite when we beat Geelong and Collingwood because it was a sign that we’d turned a corner. Even after falling over the line against Brisbane I was happy because it’s a game the old Demons would have lost. Essendon and Carlton, now those are games that I’ve come off feeling like supporting Melbourne is a chore rather than a gift. That’s not to say I’d change it for all the premierships in the world but that I’m a normal fan with normal expectations. 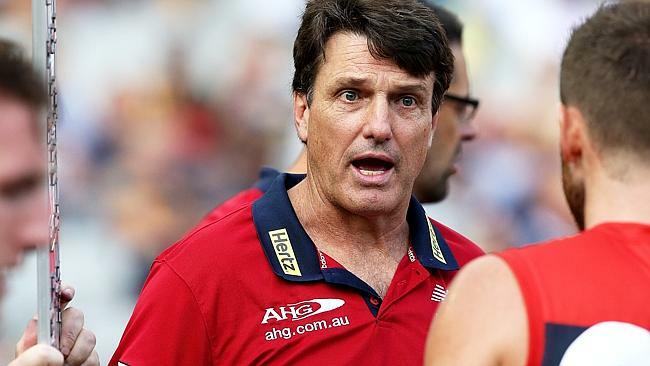 Paul Roos has done good things but he’s out of touch. The answer isn’t the fans, the answers is what he has the team doing on the field. Not conceding is fine but it means nothing if we aren’t scoring with regularity, which we aren’t. He’s too focused on the style that won him a flag in Sydney, and let’s face it, the game has moved past that style of football. Expert opinion was that Roos shouldn’t coach again. I wish I’d agreed with them. We’ve been waiting 51 years to win a flag. Of course everything isn’t fine with the fan base, but that’s part of the responsibility of being a fan, taking the good with the bad. If Roos looked in the mirror or into the eyes of those around him the problem would be obvious – the club support a culture of losing. The leader of the pack is trying to pass the buck on to the people who love the club the most and he must see the consequences of his actions. Simon Goodwin loves attacking footy, so must be instated as soon as possible. Thanks for trying Paul but please don’t let the door hit you on the way out. 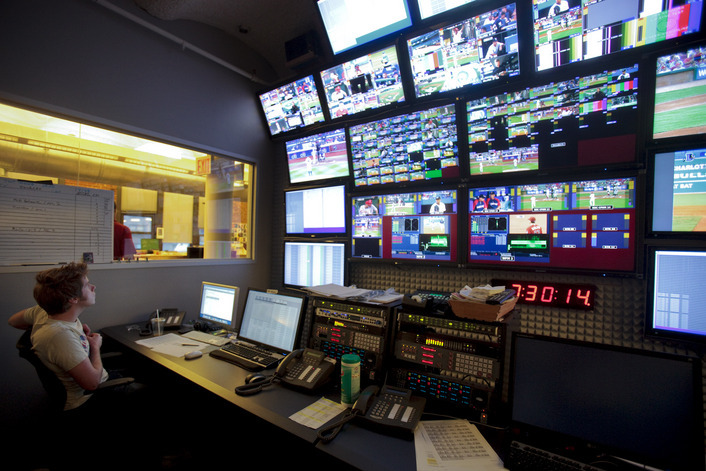 Going by Australian standards, the new AFL broadcast deal is phenomenal, but where does it leave the game in this country as we move to the back-end of the 2010’s and into the early 2020’s? However you split it $2.508 Billion is an amount of money that is incomprehensible to your everyday person. That’s what the powers that be have decided that the broadcast rights for the AFL are worth from 2017 to 2022. It’s a statement – not only from the league but from the broadcast partners – the dominate sport in Australia is Australian Football, with the new deal worth double that of the current deal which expires at the end of next year. Every game will be broadcast in High Definition in the new deal, an aspect which has left many fans sour in years gone by. For fans with Foxtel, the only time the issues occurs is on Grand Final day, the one game that should not be in standard definition. A week prior to the announcement the NRL signed a $1.025 Billion deal, a deal which League executives cited as a new dawn and a show of strength in the sport – little did they know that within a week they’d be blown out of the water. What the AFL deal does is set them up for the future. Fans get unprecedented access thanks to the 24/7 Fox Footy channel, and the coverage on FTA television ensures that a great range of magazine style and panel shows continue to give the game a range of exposure in addition to their current game day coverage. The most interesting component of the deal is what is going to be involved in the next deal, which starts in 2023. There is an air of inevitability in the online market, and any future deal will have a primarily online focus. Looking at the NBA, NFL, NHL and MLB as prime examples (given the position of sports media in North America compared to the rest of the world) the key point of the broadcast deal is that while national deals are in place, teams sell their packages to local broadcasters. While we don’t have the same setup in Australia, what that model offers is online packages such as MLB.tv. What MLB TV does is enables any game to be watched / listened to live, with each team having a broadcast crew (not to the extent of press red for Ed) and both options being available in-game. In addition to that the video centre allows fans to watch a full replay, extended highlights, highlights, individual clips and press conferences and interviews post game. All in a central location. The ease of access is what sells the package, and if the AFL put a similar price on a similar service I expect that the money they’d make from it would be astronomical. The AFL are leading the way in giving fans what they want – on demand sport. A leap to the online package isn’t a fantasy or even a pipe dream. It’s what they’re going to need to do if they want to continue to be industry leaders in this country. There are just two games left in the Victorian Football League home and away season. Those two games could see Williamstown finish anywhere between 1st and 7th. After five straight preliminary finals appearances are the Seagulls ready to win their first premiership in twelve years? The numbers from this time last year and the current group add insight into the debate. 2014 (after 18 rounds) – Record: 12-4 / Percentage: 138.46% / Scoring: 234 goals 216 behinds / Longest streak: 5 game win streak / Longest streak: 4 X 1 game losing streaks / Average score for: 101.25 / Average score against: 73.12. Many VFL experts tipped a tough year for the Seagulls. Their first year after the split from the Western Bulldogs, a relatively small forward line and a lack of depth were highlighted as the key issues. Through 18 rounds and heading into the finals the Seagulls had shown that they were genuine contenders who could match it with anyone if they were given the chance. Big wins over Footscray, Collingwood and Richmond in the first month of the season set the Seagulls up for a season where they wouldn’t lose two games in a row. Their four losses were spread over the first two-thirds of the season, enabling the Seagulls to enter the finals on a five game tear, where they would ultimately lose two of three games, bowing out with a devastating seven point loss to the Box Hill Hawks. Ben Jolley, Adam Marcon and Kane Lambert were the lynchpins for Williamstown as they pushed towards a top four berth, eventually finishing third on percentage after Footscray beat Richmond after the siren at Punt Road in their final home and away clash. 2015 (after 18 rounds) – Record: 12-4 / Percentage: 142.77% / Scoring: 228 goals 241 behinds / Longest streak: 5 game win streak / Longest streak: 2 game losing streak / Average score for: 100.56 / Average score against 70.43. Kane Lambert was off to Richmond and mixed feelings were prominent by the bay. On one hand Lambert had reached his dream of being drafted by an AFL outfit, on the other – who could possibly replace the speedy goal-sneak? Since I’m asking the question the answer is Anthony Anastasio (and also really obvious). 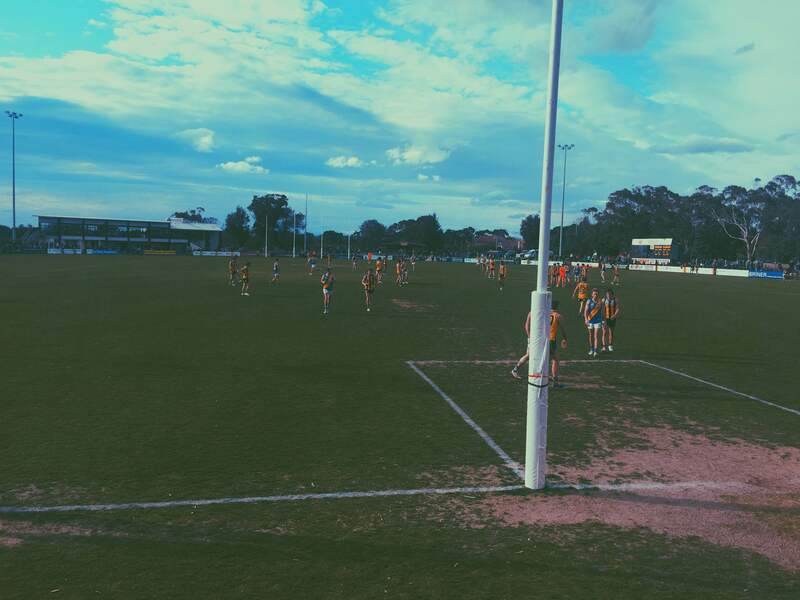 Three straight wins before a pair of two point losses to Port Melbourne and Werribee showed yet again that the Seagulls were going to be a force to be reckoned with. Since then the Seagulls are undefeated on the road, with a narrow loss to Footscray and a hammering against Hawthorn, sorry, Box Hill, the only other blemishes on an otherwise commanding season. The 2015 Seagulls have offered a great variety. While Jolley and Marcon have been important the likes of Dunell, Bese, Carr, Carr, Lockwood and Banner and Critchley are making up the bulk of the BOG every week. That’s why opponents need to be scared, you can shut down one guy but someone else will pop up and do their job (see Anastasio against Collingwood or Dunell against Casey). The Seagulls have won six of their last seven and nine of their last eleven. With a very winnable fixture against Werribee on Saturday and a potential Minor Premiership deciding clash against Box Hill remaining, it is feasible that the Seagulls enter the finals winning eleven from thirteen. The Verdict – The numbers and the stories of the respective seasons are near identical. So which year has more potential? You don’t need to mention any more than the words “Box Hill” to get most Williamstown fans fired up, so it’s fitting that a trip to the City Oval is where the Seagulls end one phase of their 2015 journey. If you ask Andy Collins I don’t think he’d give too much away, it’s not who he is. Rather than who he is, it is valuable to think about what Collins is – a year more experienced. He’s had the chance to find and craft players into the system and the record speaks for itself. The numbers say that the two years are the same as I write, but numbers can lie. Four losses this year? Three of those have been by a combined total of fifteen points. That’s a number that is impossible to ignore. The Seagulls don’t lose heavily (even in 2014 the biggest loss was 27 points), so if you aren’t switched on for the entire four quarters you’re going to pay the price. The 2014 side were good enough to win the flag. The 2015 side are good enough to win the flag. The current crop have the extra touch of calmness under pressure that was missing in 2014 which leads me to the following conclusion (after a great deal of research). The 2015 side are going to go at least one step further than the 2014 team.